At times, trusting a team of professionals is the best idea for doing the job perfectly. Similarly, when you are thinking of relocating to a new location, it is better if you hire a team of professionals who will be able to pull off the whole job smoothly and without much hassle. That is why hiring movers and storage services in Los Angeles is necessary so that they can expertly handle the transferring requirements. If you are looking for such a reliable service of moving and storage in LA then come to us at Coast to Coast Long Distance Moving. 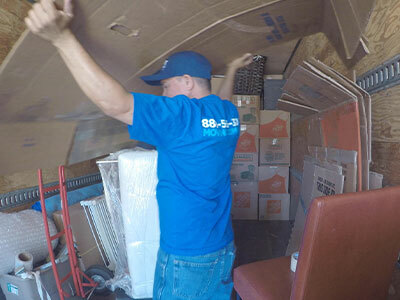 We are one of the most proficient and experienced movers and storage services in Los Angeles. When it comes to relocation, we are the one-stop solution for all kinds of relocation requirements. If you are moving to a new house or expanding your business by relocating to a new office, there are many things that you need to take care of. From scheduling the dates of relocation to notifying the necessary people about the move, from arranging the transfer to making sure that all the family members or the employees can get transported at the right time, you have to think of everything. So, when you are already caught up in so much work, it is better if you trust a service of full-time movers in Los Angeles. They will take care of all the necessities of getting packing supplies, packing, moving, storage, loading, and unloading unpacking, assembling and disassembling, settling and so on. And if you are looking for a professional team of full time moving service in Los Angles, then we are the right people for you. We, at Coast to Coast Long Distance Moving Company, are providing the clients with the best professional services in the city. 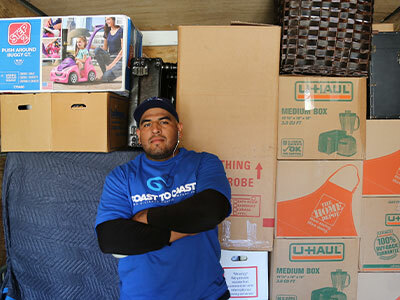 We offer you the most affordable movers and storage services in Los Angeles. 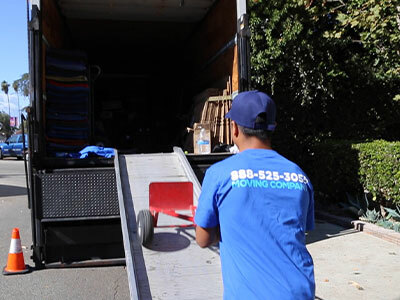 Since during a long distance move, many unpredictable circumstances can occur like extreme weather conditions, roadblock, delay in getting possessions of the new property and so on, you must think of hiring a safe movers and storage services in Los Angeles. We, Coast to Coast Long Distance Moving Company, offer you the safe and affordable moving and storage services in Los Angeles. Your goods will remain safe and secure in our clean, hygienic and properly ventilated warehouses. Visit us today for more details or to get a free quote. When you request a long-distance moving quote from COAST TO COAST we will provide an estimate for services that is tailored to fit your budget.Our professional moving estimators will survey your home to approximate the size size and weight of your load. You'll subsequently discuss packing, protection and service options to customize a moving package that fits your specific needs.